A few months ago, AISB senior Beatriz de Almeida formed what is now called “The Mother Tongue Committee.” The group now consists of ten high school students who, along with External Languages and Student Leadership Coordinator Kate Sorrell, are on a mission to increase multilingualism and get students to embrace their native languages. “I believe multilingualism is extremely important for society as it allows us to better understand, respect, and be involved with different cultures,” says Almeida, an English, Portuguese and French speaker. Almeida came to Romania with little to no knowledge of English. In order to help others through this difficult transitional period, she hopes that the Mother Tongue Committee will bring students together by celebrating their native languages. The entire committee believes that knowing other languages aside from English should in no way limit your potential or possibilities, and should in fact be a benefit and also encouraged. Logo created by the group of students. Additionally, the “English only” rule often results in a loss of fluency in children’s mother tongue languages. 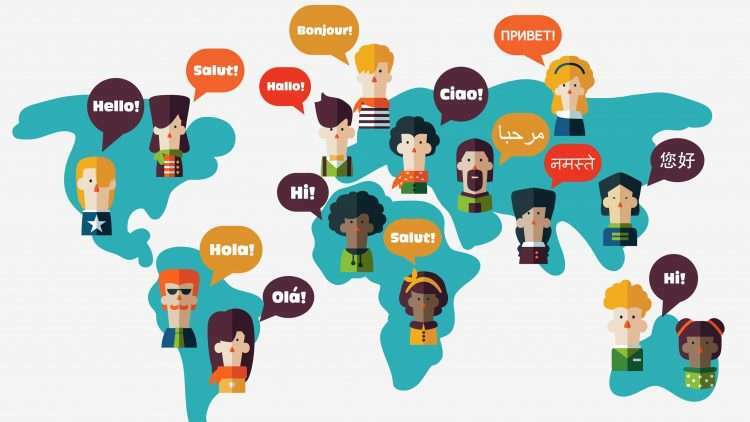 According to Dr. Aneta Pavlenko from Temple University in Philadelphia, it becomes much more difficult to recall your first language the more you are immersed in your second language (from a BBC report). The Mother Tongue Committee’s goal is to urge students to connect with their culture and identity by speaking their mother tongue more often, and to see their language as an incredible part of society. The danger of this, of course, is social exclusion, if classmates do not understand what their peers are saying. In weekly meetings, the Mother Tongue Committee discusses potential ways on making AISB a more language-friendly environment. So far, they’ve conducted a survey, which showed that 93% of secondary students are multilingual, and 75% claim that English is not their mother tongue. 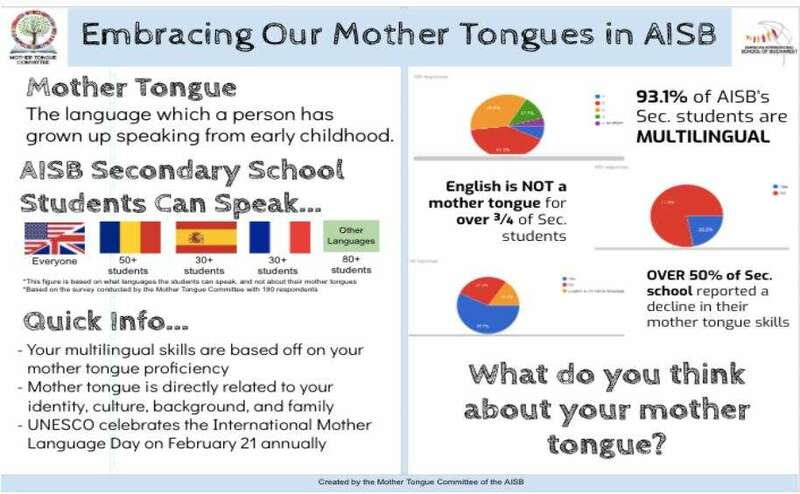 With the results of the survey, the group was able to put together an infographic to showcase the large variety of multilingualism and culturalism at AISB (see below). This data is important for developing the Mother Tongue Committee and their initiatives, as the group plans to expand next school year. Expect more signage displayed in multiple languages, as well as trivia-inspired assemblies and even food festivals to celebrate the diverse cultures at AISB.